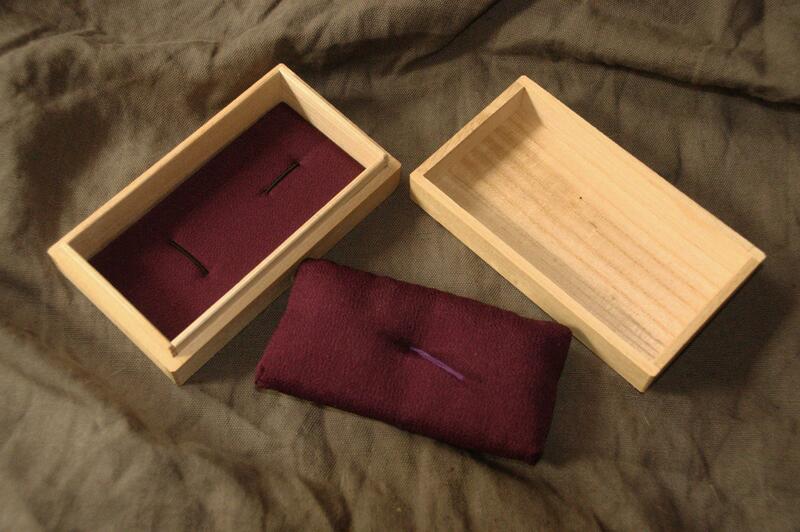 Pawlonia wood box for fuchi-kashira, with pillow, purple or green rest. Dimensions 1.63 inches x 3.25 inches x 5.75 inches (4.14 cm x 8.26 x 14.61). Free delivery.